Why doTERRA? Why essential oils? Why should you invest in quality oils and not health food store oils? I’ll give you all the details below so you can see for yourself. Purity: Well, doTERRA makes the purest essential oils on the planet and that’s a fact. They don’t just say it but they prove it time and time again. You won’t find any lab result of them using synthetic ingredients, fragrances, or any fillers. Third-party testing: doTERRA performs 13 methods of testing and they are run 6-8 times prior to bottling. These purity tests include: Stability, Heavy Metal, TCP/Microbial, Pesticide Analysis, Chiral GC, Isotope Carbon 14, Biochemical Pairing, Taxonomy, VOC Volatile Carbon Analysis, Thin Layer Chromatography, and LC/LCMS. With doTERRA now being a billion dollar company, they can now reinvest back into science and research. We as their wellness advocates are constantly evolving and learning along with them. See their doTERRA science blog when you get a chance. They also held the 1st Annual Essential Oil Symposium for Medical Professionals with over 500 doctors attending and discussing the clinical applications of essential oils. Truly amazing! We are also the ONLY company that has a scientific advisory board that oversees the ENTIRE company. They are all MD’s who have graduated from Harvard & MIT and they share every year at convention (a highlight for sure) how they use the oils in their own practices. All of their bibliographies can be found on doTERRA.com under scientific affiliates. doTERRA has well over a 100 research partners with many prominent research universities and hospitals….the list goes on of other leading research universities, clinics, and hospitals around the world. 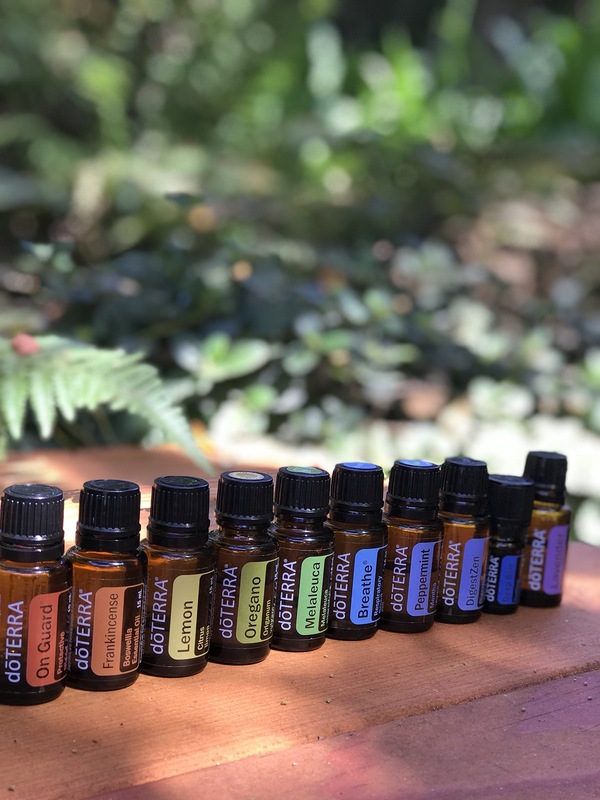 doTERRA is on the forefront of essential oil science (see the doTERRA science blog) Again they are the FIRST and ONLY essential oil company to have these partnerships! They introduced the www.sourcetoyou.com website to even make them more transparent in their purity promise. Every single oil had a unique lot code on the bottom of the bottle and can be entered at SourcetoYou.com to view information on specific test results from verified third-party labs. This website had in-depth information about our growers, distillers, scientists, and practitioners. This website continues to evolve so that we as doTERRA customers continue to feel empowered and safe about what we are applying on ourselves and our families. doTERRA utilizes a Global Botanical Network of artisans from over 45 different countries to grow the materials used for producing our oils. This network ensures that small-scale farmers & harvesters in disadvantaged and sometimes impoverished areas are treated ethically as well as paid fairly (watch the Co-Impact Sourcing video here). So with that THE BIGGEST DIFFERENCE is that all of our oils are sourced indigenously meaning from where the plant has grown for HUNDREDS of years! Now, you can grow Lavender in Minnesota and say it’s 100% organic and pesticide-free which is wonderful. But doTERRA essential oils are considered BEYOND ORGANIC because they are distilled from their natural habitat which means the many powerful organic compounds found in oils that make them medicinal are the most potent and pure. It’s not just purity you want to focus on it’s potency as well. For example, Lavender helps us sleep, calms our minds, and it’s because of it’s high esters content which is a natural sedative found in nature. (Esters are an organic compound found in many oils, Lavender is one). Lavender grows in a Mediterranean climate, so the esters are very high. Again, you could grow Lavender here in Minnesota, but because the soil and climate are completely different the organic compounds that make the oil so effective will be very low thus make it lack potency. Also important to note, 84% of doTERRA’s essential oils are exclusive to us! This means 84% of our growers will only distill for us! This means we get the same HIGH quality and result from any given oil time and time again. Cheaper oils do not get their peppermint (for example) from the same grower every time – they find the cheapest price each time. This makes it so the quality varies in their different oil batches. doTERRA tests EVERY batch of oils EVERY TIME and most other companies test every six months, so again quality is inconsistent. Last point on that is that when other companies claim to have the same sources, it’s simply impossible because no other company has access to our farms. doTERRA is committed to improving lives ALL OVER the world by partnering with organizations that offer hope to millions around the world! Click here to read more about Healing Hands Foundation on doTERRA’s website. Healing Hands provides funding & resources to create community-based projects to improve lives where our oils are sourced as well as areas experiencing natural disasters. Our very own wellness advocates/wholesale customers can donate to this cause through their oil orders as well as HHF non-profit organization funded by doTERRA. It is truly beautiful to see the amazing work doTERRA is doing around the world and right here at home to help those in need. These projects include building medical clinics and schools, installing drinking water/irrigation systems, and providing vocational training programs. As well as donating 100’s of thousands of dollars towards fighting child trafficking to O.U.R. rescue and sending aid down to Texas during Hurricane Harvey. The list goes on & on and my love for this company just continues to grow! doTERRA means “gift of the earth” and they work really hard to ensure sustainability with their oils. They care for the earth and make sure to use all parts of the plant so nothing goes to waste. They just recently announced at convention they will be using recyclable boxes for their oil kits and doing away with plastic. I love this company for their dedication and continuing to make improvements where needed. As you can see the company is amazing but the PEOPLE this company attracts are top notch! Such a positive and vibrant community looking for natural solutions for themselves and their families. This oil journey takes you much farther than just using oils but opens up doors to other wellness journeys outside of oils…you just become healthier both mentally & physically. You meet like-minded people even ones that aren’t on your immediate oil team…and you gain a community for a lifetime. A community like no other around…I have been with this company for 8 years & counting and I have loved every minute of it! sidenote:: I will also mention to be careful when purchasing on Amazon.com… Don’t get me wrong I love Amazon prime and all of the convenience. But purchasing oils on there just isn’t safe because people are selling them WAY below the wholesale cost and so you have to wonder since it’s not regulated what they’re mixing them with because you can easily replace the safety seal for cheap to make it appear like they haven’t opened the bottle and replaced it with potentially harmful fillers. Better safe than sorry to purchase directly from doTERRA where they guarantee what you are buying!